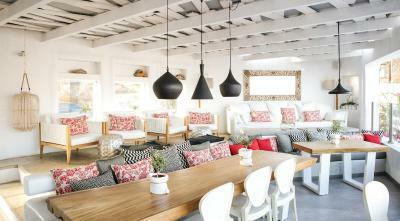 Lock in a great price for Pylaia Boutique Hotel & Spa – rated 9.1 by recent guests! 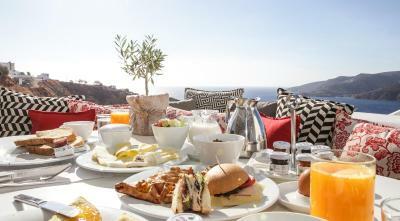 Exceptional service and amazing buffer breakfast ! Awesome view to the sea not only from the restaurant area but also from the room! Nice interior design. Beuatiful view of the sea. Great and helpful staff. Nice buffet breakfast. Perfect for those looking for tranquility, rest and relaxation. 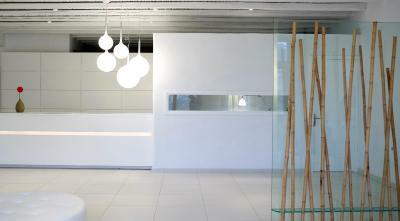 The architecture and decoration of all spaces, both exterior and interior, convey this sense of peace. The whole environment is thought to detail. The view from the restaurant is beautiful. The beginnings of the day are the best there is with a varied breakfast and good products accompanied by relaxing ambient music. The staff are super attentive and careful, without exaggeration. The beach and center are 5 minutes away. The difficult thing is to have to return! The breakfast was superb! And so were the facilities. The staff most accomodating. Η καταπληκτική θέα από το μπαλκόνι του δωματίου, οι παροχές υψηλών προδιαγραφών, η άμεση εξυπηρέτηση του προσωπικού, η ποικιλία του πρωινού μπουφέ. Чистая комната средних размеров с очень хорошими матрасами на кроватях, маленький балкончик с видом на залив. 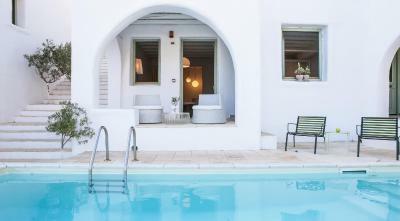 Pylaia Boutique Hotel & Spa This rating is a reflection of how the property compares to the industry standard when it comes to price, facilities and services available. It's based on a self-evaluation by the property. Use this rating to help choose your stay! 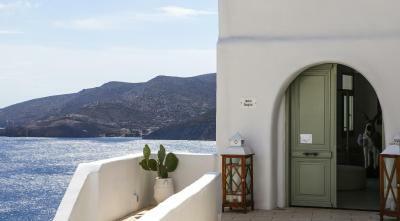 One of our top picks in Astypalaia.Pylaia Boutique Hotel is a luxurious new hotel in the island of Astypalea, just 1,000 feet from Livadi beach. 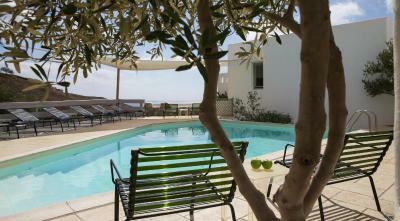 It offers a spa and spacious rooms and suites with CD/DVD players, WiFi internet, and exceptional views to the sea. 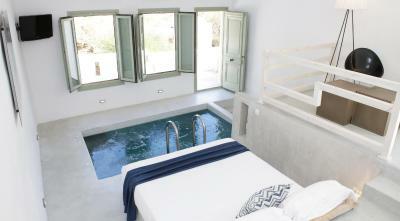 Built on a bank of a hill, in an extent of 6.6 ft², with a view to the sea, and the coves of Agios Konstantinos, Pappou and Tzanaki, Pylaia Boutique Hotel is located in the picturesque Chora, hardly 650 feet from the central square. 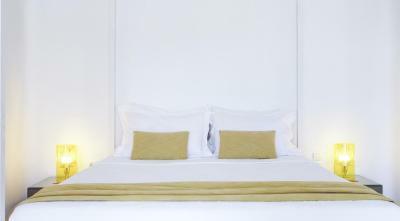 All rooms with attached bathroom of Pylaia Boutique Hotel feature Cocomat mattresses and Apivita toiletries. Each is air-conditioned and includes a refrigerator, high definition TV, coffee maker, as well as bathrobes and towels for the pool. A welcome drink is offered upon arrival. 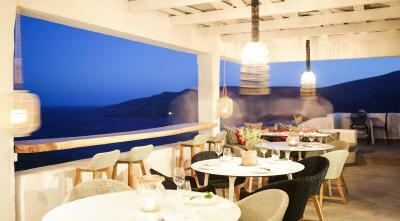 Pylaia Boutique Hotel has a restaurant with a striking view to the castle of Astypalea and the sea, 2 swimming pools, and a free parking area. 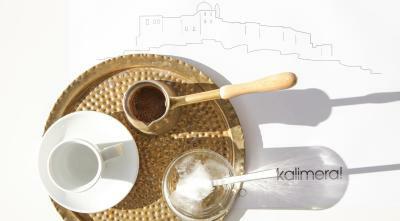 Its shop offers jewels, books, accessories and souvenirs. 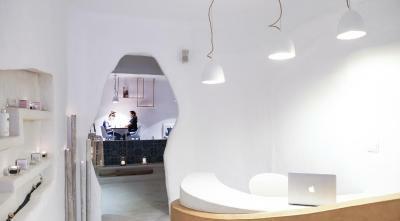 Guests can also find an internet corner operating in the reception area. 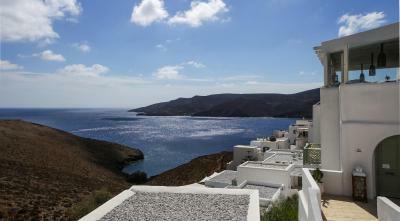 Facilities include port/airport shuttle service upon charge, car rental and daily excursions on a private boat. 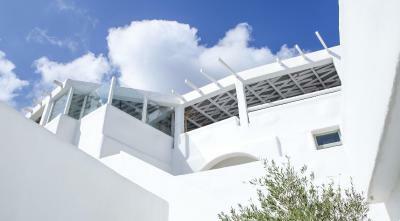 The Pylaia Spa offers massages, spa and beauty treatments in enchanting surroundings. 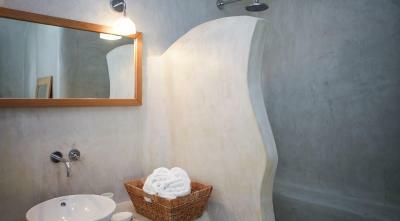 The steam bath and whirlpool are available free of charge to guests. 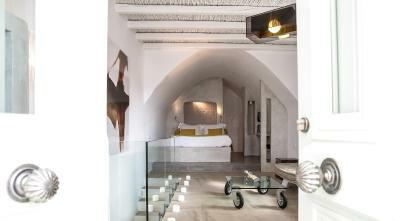 When would you like to stay at Pylaia Boutique Hotel & Spa? 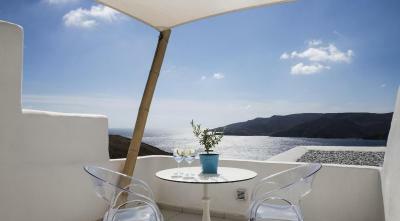 This room offers a semi-private balcony with partial sea view. It comes with a Nespresso coffee machine and COCO-MAT bedding. This room includes a seating area in an open plan style, private outdoor veranda and comfortable lounge chairs. 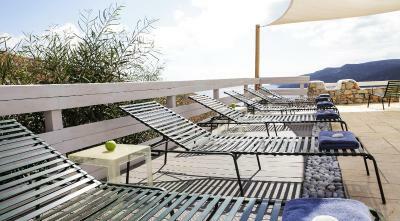 This Room offers an outdoor balcony lounge with panoramic view to the sea. 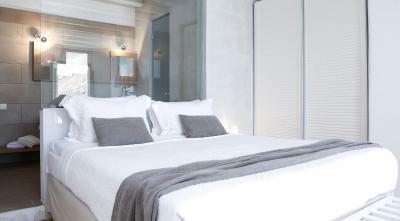 Family suites consist of 2 separate rooms, a seating room and a bedroom. 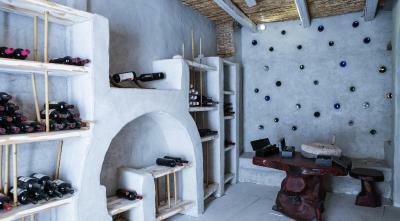 A maximum of 4 guests may be accommodated. 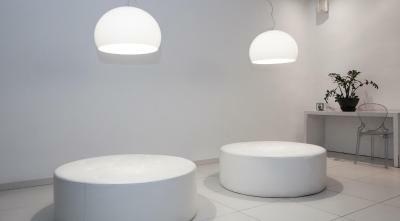 - free upgrade upon availability and early check-in/ late check-out upon availability. This suite includes a seating area in an open plan style, private outdoor veranda and comfortable chairs. It features home cinema equipment and 24-hour room service. 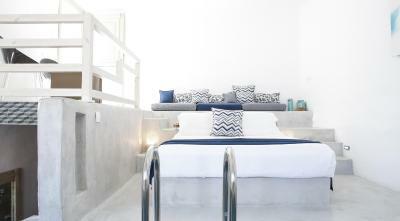 Opening to a balcony with sea and Livadi Bay views, this suite features an indoor hot tub, and includes a built-in bed with a COCO-MAT mattress. This suite features a balcony, hot tub and bathrobe. 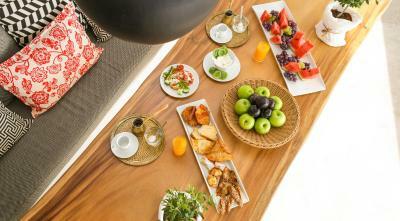 Pylaia Boutique Hotel is dedicated to delight the senses of every guest. 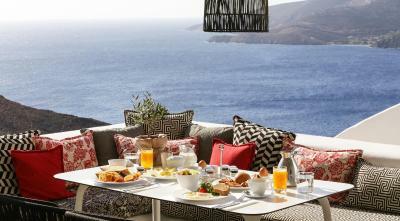 A collection of 25 individually designed rooms and suites with private balconies overlooking the azure Aegean sea. 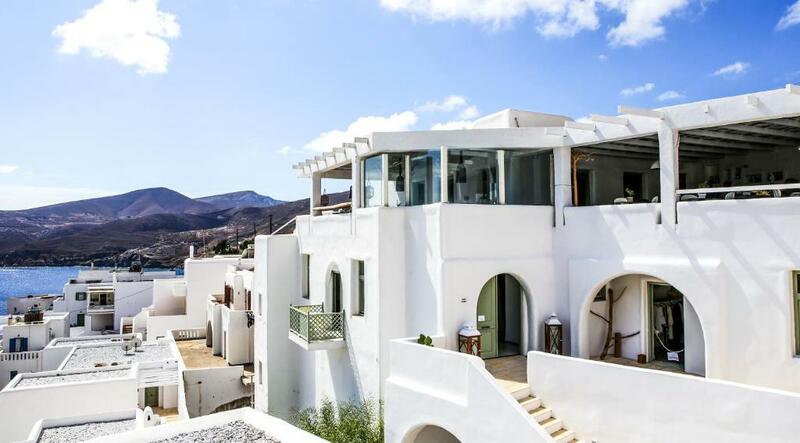 A hidden retreat, synonymous of private Luxury with Mediterranean island architecture and an exclusive air of personal service, attention to detail. 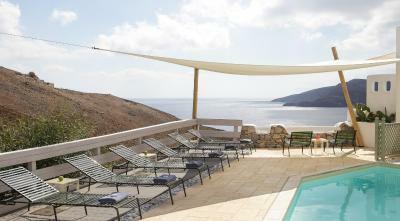 A unique Location, built on a hillside and quiet outskirts of Astypalaia’s chora, just 7km of the airport, 1km to the idyllic chora, nightlife, restaurant and shopping venues. 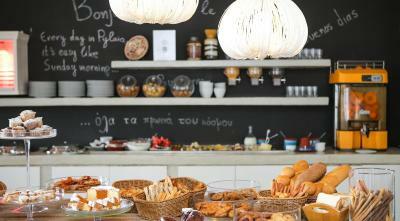 House Rules Pylaia Boutique Hotel & Spa takes special requests – add in the next step! 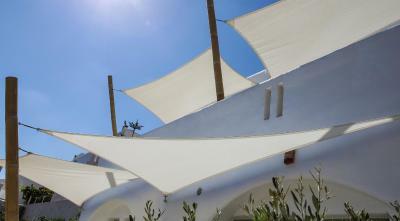 Pylaia Boutique Hotel &amp; Spa accepts these cards and reserves the right to temporarily hold an amount prior to arrival. 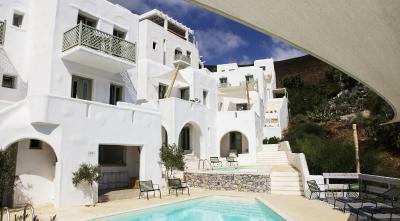 Pylaia Boutique Hotel & Spa accepts these cards and reserves the right to temporarily hold an amount prior to arrival. 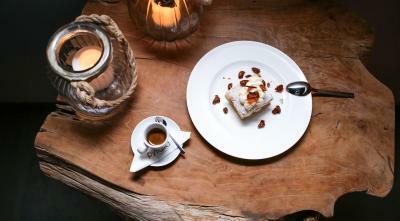 The hotel restaurant is seasonal and is only open during the summer months. Please note that all room types can accommodate an extra bed. Charges may apply. Please contact the hotel. Beautiful property, lovely rooms and great views. The hotel is advertised as boutique but it is quite average. Breakfast is on the poor side. The staff were not very helpful and generally you get the impression that they are not trained to the mark. The rooms are very nicely decorated and spacious. Poor WiFi. Mold smell from the basement toilet in the honeymoon suite. Internet connection could be better. The extraordinary staff and the excellent design. Not spotlessly clean, I'm afraid. Some members of staff poorly trained. At nightfall a few bugs appeared in the room, but once again, demonstrating that everything is thought to detail, there is an electric anti-mosquito diffuser ready to be used.